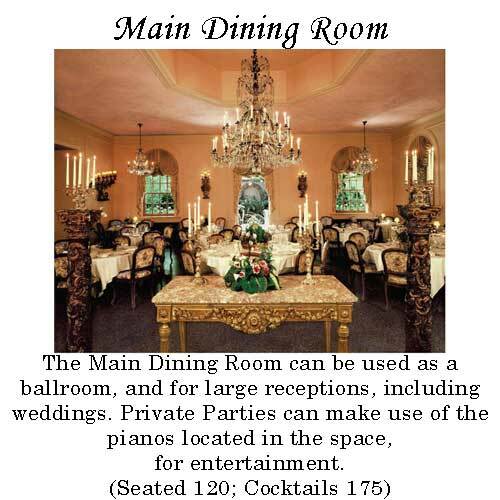 The main dining room, which can be used as a ballroom and the outdoor garden are suitable for large receptions. 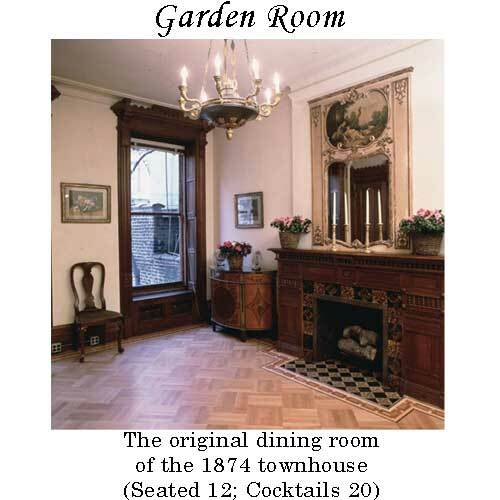 For smaller parties, Barbetta makes available the magnificently appointed second floor of its townhouses. 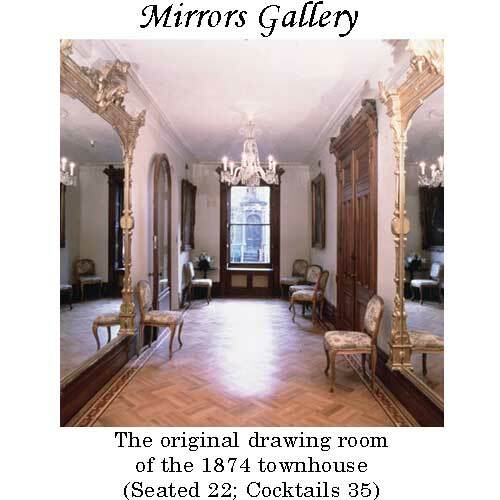 This parlor floor, which has its own private entrance from the street, is imposing and patrician and consists of the original dining room, the library and drawing rooms, each preserving its original fireplace as well as beautiful woodwork and period details. 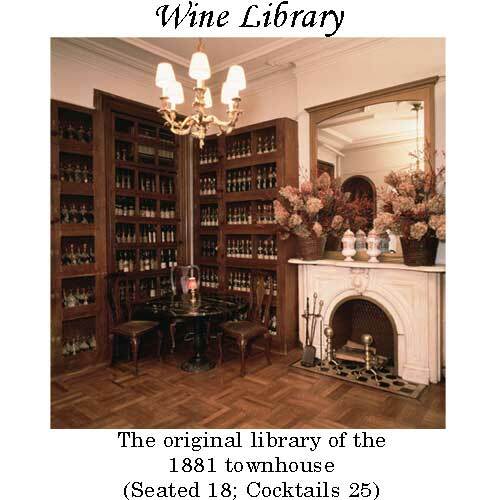 The four private rooms on the second floor of the 1874 and 1881 townhouses in which Barbetta is located, consist of the original dining room, library and drawing rooms, each preserving its original fireplace as well as beautiful woodwork and details of the period. 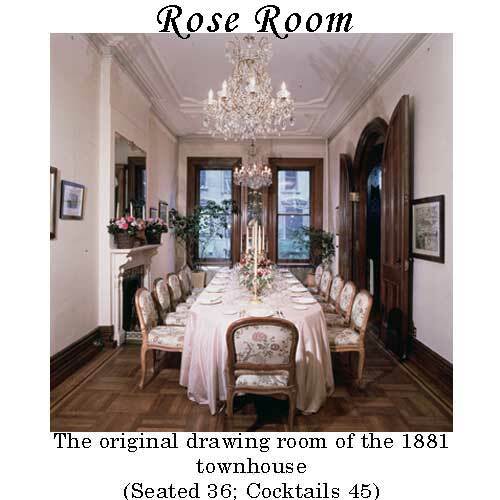 These four rooms, which connect to one another, may be used separately or together for an intimate dinner party or banquet for as few as six persons to a cocktail reception for over 100. Beautifully appointed with antique furniture, these rooms are accessible either from the restaurant below or by private entrance from the street. 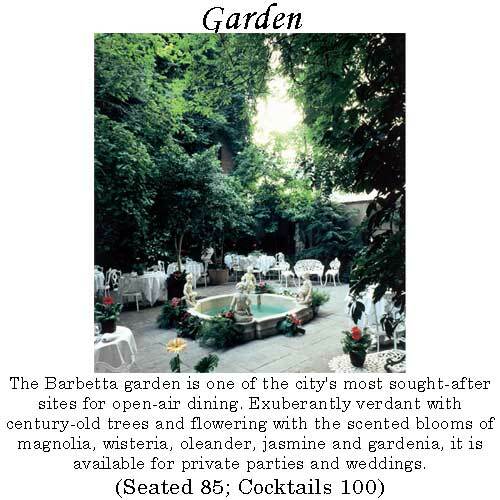 For more information, please contact our Private Parties Manager at 212-246-9171 or email at barbetta100yrs@aol.com Click for a Virtual Tour of the many spaces to hold a Private Event at Barbetta.